With the wide-spread adoption of virtualization and big data, storage has become a key element of IT infrastructures. A slowdown or failure of the storage tier causes key applications to fail and in turn, affects the business. 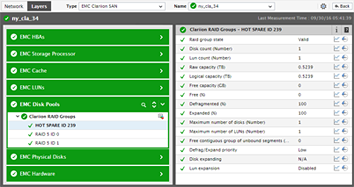 eG Enterprise storage monitor is a unified monitoring, diagnosis and reporting solution for your storage infrastructure. 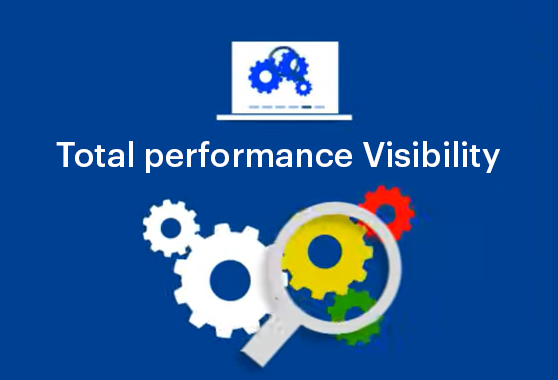 From a central web console, administrators can monitor all of their storage devices and can correlate storage performance with the other tiers. This way, they can detect and fix situations when storage is the cause of a performance bottleneck. Many of the tiers of an IT infrastructure depend on storage. Hence, when a slowdown happens administrators have to determine whether the slowdown is due to storage or is it due to the other tiers. Even when a problem is storage-related, further diagnosis is a challenge. Disk failure, bottlenecks in the SAN switches, excessive I/O activity on a specific logical unit (LUN), etc., can cause performance issues. In-memory storage caching adds another layer that has to be considered. To keep the infrastructure performing well, administrators must proactively detect issues, pin-point the cause of the problem and initiate corrective action. Has any temperature sensor failed or is reporting an abnormal value? Are the fans operating normally in the enclosure and on the controller? Has any power supply unit failed or is about to fail? Is any controller utilizing CPU resources excessively? Has any fibre channel port failed or is about to fail? Are all device ports, physical disks, disk groups, LUNs and controllers healthy and performing normally? Is the I/O traffic on any disk group abnormally high? Is any physical disk experiencing slowdowns during read/write operations? Which external host is responsible for the maximum number of requests? Does the disk array have many outstanding requests to be processed?